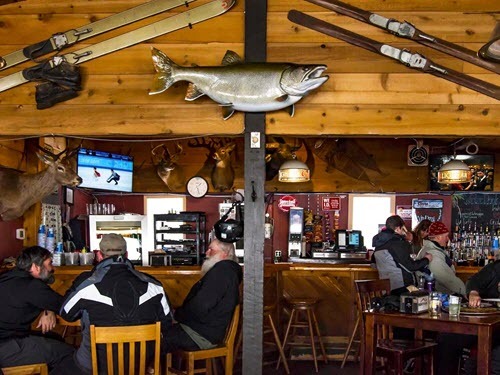 Open year round, our Base Lodge is nestled at the bottom of the ski hill. With indoor and outdoor seating, you can choose to seek comfort by the fire or under the sun. 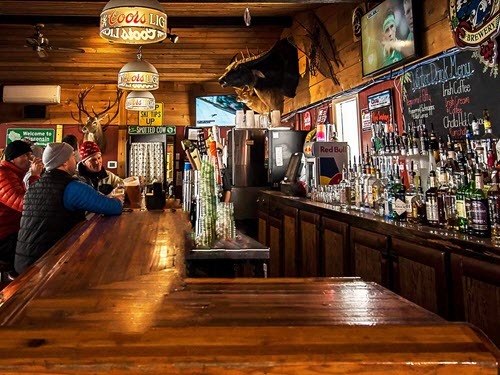 Inside the Base Lodge you’ll find fireside comfort in a classic ski chalet atmosphere. If the outdoors is your pleasure, you’ll find yourself surrounded by 450 acres of beautiful wooded northland. Inside or outside, you’ll enjoy great friends and refreshments. Our classic pub fare is made with the finest and freshest ingredients. We proudly serve local craft beers and signature drinks. Sit back and enjoy a beverage while enjoying some of the greatest live music in the region. Just 15 minutes south of Duluth, Minnesota in the beautiful Superior, Wisconsin.